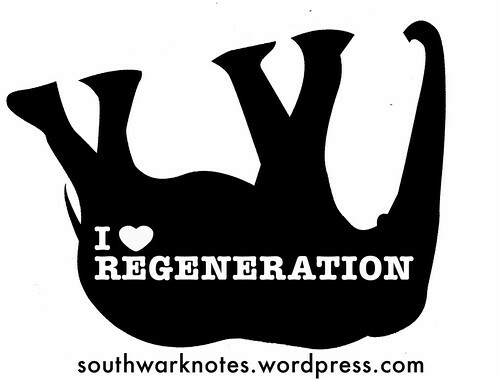 Peckham | Southwark Notes - whose regeneration? Due to the general thumbs up we had for our Almost 50 Questions on the Gentrification of Peckham post, we are now seeking your own wise help in adding another ‘almost’ 50 questions’ to the list. 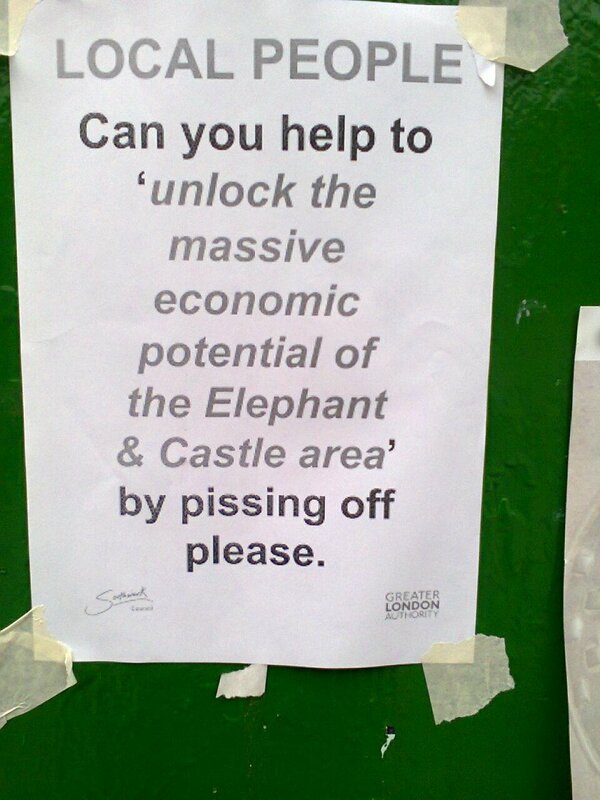 Got something to say in the form of a question about the gentrification of Peckham? Let us know! Many thanks. Any question we use will remain anonymous. Here follows a set of questions based on the past, present and future of Peckham as it undergoes continuing pressures of regeneration and the accompanying gentrification. Like gentrification itself, this list contains numerous trick questions. There are questions that seek answers in historical fact but there are a whole lot more questions that are asked not for an answer but because the question itself says a whole lot more than any answer. These questions are produced from a fatigue of long-term considering the question of art and gentrification and its willing and seemingly unwilling players. In Peckham, as some artists slowly ponder any role they may have in its changes, it must be said that the story pre-dates their arrival although not the way they have been used to sell the area. • How many estates were regenerated or demolished in Peckham in the last 20 years? Can you name 2 or 3 of them? • Why do you never see a lot of people in McDonalds on Rye Lane on laptops even though there is free wi-fi there? • How much public money was paid by Southwark Council for the signs and bollards and lamp posts in Bellenden Rd as part of its artistic recreation? • What was the name of business that used to be at 44 Choumert Rd before it was recreated as Café Viva? • What was Pelican House on Peckham Rd called in the 1980’s before it’s later conversion from Council offices to shared ownership flats? • Which Peckham 2009 art event press release began in this fashion: ‘’In deepest darkest Peckham all things are possible, even a clash between the Bun House Bandits, littlewhitehead and the contemporary titans of havos; Swarfega. As far as we can tell from eye-witness accounts gathered from traumatized locals, and a police report, the ‘dust-up’ occurred sometime after dark on Monday…”? How does this read to you? • Which Peckham art gallery website has six staff featured, 5 of which are white and are arts managers. The 6th member of staff is black and is finance manager? • Is Peckham the new Dalston? What would that mean? • If people moved to Peckham to open studios and art spaces because they were priced out of East London and Peckham was cheap, what would be the future for those people? And why? • Can you name the group behind one of the first ‘art squat’s that was at the old Co-op on Rye Lane about 2004? What happened to those people? • How many council flats were on the now demolished Wood Dene Estate? Where is/was Wood Dene Estate? What is happening to it in the future? • Which local businesses can you name around the proposed redevelopment near Peckham Rye Station who are threatened with eviction? How many of the ones you name are non-art, non-creative businesses? • How much is a beer at Frank’s Café? How much does Franks Café make per year? How are the profits divided? • What’s the difference between jollof rice, peas and mutton curry and seared rabbit loin, pithivier and wild mushrooms? • Which local Peckham design outfit sells a Limited Edition print of the Peckham Wall, a spontaneous outpouring of personal messages on Post-It Notes in response to the 2011 riots, as a Limited Edition art object signed by ‘The Artists’? By what commissioning route did this come about? • Have you ever used these words to describe Peckham: ‘vibrant’, ‘exotic’, ‘mini-Lagos’, ‘diverse’, ‘feisty’, colourful’, ‘cheap and cheerful’? Etc. • What was the verdict of our Chilean friend on returning from a party of the 78 Lyndhurst Way art squat in the mid-2000’s? • Why when there used to be ‘art squat’s in Peckham but now there are galleries, self-organised artist spaces and arty cafes, are there no more ‘art squat’s? • What is gentrification? What is the traditional role artists play in this? What are some other ways in which gentrification happens? Are artists always complicit in these other ways? 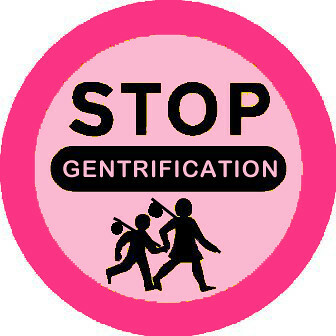 • Name three defences artists use to sidestep the claim that they are implicated in processes of local gentrification? • In 2006, how much had property values increased in the Bellenden Rd ‘Conservation Area’ as a result of this designation and renovation? 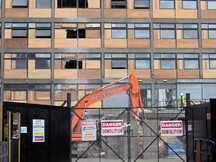 • The Government funded partial demolition and renovation of the Five Estates in North Peckham from 1994 to 2008 resulted in the loss of how many council homes? How was this justified by the Council at the time? 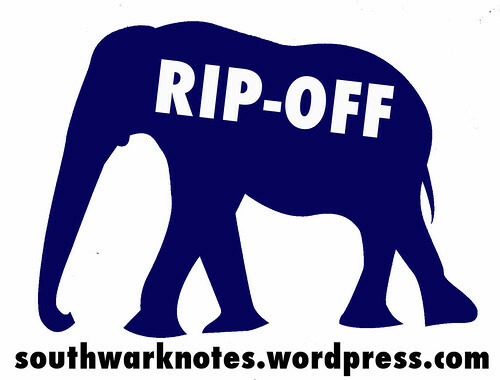 • What is the significance of the arrival of the Overground to Peckham Rye and Queens Rd in relation to global capital? • Which Peckham design outfit created ‘a surreal pun on two iconic forms, the block of flats rises majestically from the top of a classic chequered flat cap and contains its own miniature world where fashion icons and models rub shoulders with bin men, pigeons, and even a horse’? • ‘Prices have risen as much as 45% in the last 12 months and well over 100% in the last five years. Rental rates are also beyond what even we could have imagined”, says who? • What was the ‘Peckham Experiment’? • Which part of Peckham was ranked 5,306 out of 32,482 in England (where 1 was the most deprived and 32,482 the least) in the latest Index of Multiple Deprivation? Which part of Peckham was ranked 17,702 out of 32,482 in England (where 1 was the most deprived and 32,482 the least) in the latest Index of Multiple Deprivation? • In 1977 Paul Willis wrote a book called ‘Learning to Labour: How Working Class Kids Get Working Class Jobs’? Peckham’s Harris Academy school is proud of their vocational resources and they are ‘unparalleled by any other school in Britain’. Is there something to be said of the former in relation to the latter’s ‘catering suite, hairdressing salon and motor mechanic garage’? • What was Sokari Douglas Camp CBE’s influence on the Bellenden Rd Conservation Area? Where in Peckham can you find one of her sculptures? How did this come to be part of the accompanying housing development? • Former ‘‘art squat’’ 78 Lyndhurst Way was last sold for £600,000 in 2006. How much is it worth now? • If you are writing a puff piece about the Peckham art scene, is it better to write about Only Fools And Horses and how Del Boy and all was actually never shot in Peckham or is it better to mention how William Blake had visions as a young boy on Peckham Rye? • What year was this description of Peckham’s art spots written: ’I’d be hard-pushed to find most of the galleries and spaces we visit: they’re tucked away down back-streets, on industrial estates or under railway arches; and, in one case, in the back-room of a pub’? Why is this different now? • Can you be a successful and engaged artist in Peckham by producing art with local people about the dogs they own, their own ‘street knowledge’, the aesthetics of the council estates where they live, the recipes they know from their ethnic pasts, what trainers they like to wear, their memories, their desires, their problems and so on? • Is ‘pop-up’ or ‘temporary art space’ a different way to describe the idea and function of ‘property guardianship’? • What percentage of Peckham’s population come from West Africa? What percentage of Peckham’s population graduated art school? What percentage of Peckham’s population who graduated art school are white? What percentage of Peckham’s population who graduated art school and have set up studios, art cafes and galleries are white? • What was the battle that began in 1996 over the public art piece by Lilian Lin and then the later International Carpet of Flowers, designed by Anne Wiles in Moncrieff Place that was part of the Peckham Partnership regeneration scheme? • How long before the first arty café, foodie deli or gallery space opens up on Rye Lane and not just in the Georgian or Victorian side streets running from Bellenden Rd to Rye Lane? • Quote: ‘Yes, people love Peckham. And why not? True, it still has its tricky patches, fried chicken joints, and the high street ain’t all that. But it’s got another side: adorable streets’. How do you decode this statement? • Is Almumno Developments renovation of the old Council Town Hall on Peckham Rd as student flats a good thing for Peckham? 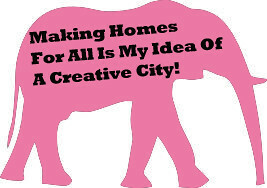 In what light can the history of the Hotel Elephant art space’s involvements with the regeneration of The Elephant, and who intend to run a café from the new development, be viewed? • Can you go from squatted building in Peckham Rd to a Arts Council National Portfolio Organisation funded to a tune of £50,000 a year and negotiate to site yourself in a space free of charge by Argent, the company overseeing the large scale Kings Cross redevelopment?• What’s the historical difference between community bookshop The Bookplace that was on Peckham Rd from the 1970’s up until the late 1990’s and Review, the bookshop on Bellenden Rd that opened around the end of the 2010’s? • Can you programme work on the radical content and history of various radical communist struggles whilst being part of a global art world based on private property and investments? • As a curator, would you like to be the first to discover a radical black group in Peckham from the 1970’s who were involved in building community self-defence and much antagonism against the police to then programme a series of visual art ‘conversations’ around this between young artists and local school children? As an artist would you work on this and then put your name on this ‘conversation’ on your CV as the ‘artist’? • What’s the difference between the New Gallery art café and bar at the base of Pelican House and the current Peckham Pelican art café and bar? • Were you surprised when Network Rail’s plans for the area around Peckham Rye station included a range of new build housing blocks that would lead to the eviction of most of the areas creative businesses? • In Peckham, does to insist on ‘heritage’ sidestep the deeper question of any actual history of local buildings and the social relationships that were part and parcel of their actual building, use and disuse? • Is being a newly emergent local area of creative economy enough to sustain you against the power and desires of property developers keen to cash in on the buzz and a compliant Council in this respect? • When artists or institutions host workshops on art and regeneration, do you ever get the feeling that what is always being discussed is more the art than the regeneration side of things? Is there a way through this impasse?